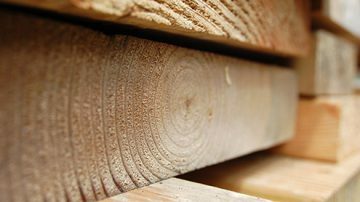 Wichita Deck Builders & Deck Remodel | Ryan McClellan Construction, Inc.
Offering new deck construction and deck remodel in the greater Wichita area since 2008, Ryan McClellan Construction has the knowledge and experience to bring your dream deck to life. Our quality craftsmanship comes second to none, thanks to our unrelenting attention to detail and dedication to customer satisfaction. Learn more about the company, and the owner. 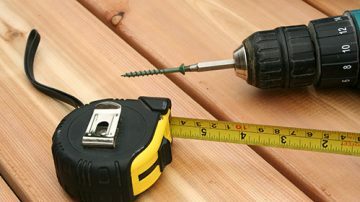 While deck construction is our specialty, we also provide several other exterior improvement services including porch columns, fencing, window shutters, and more. Take advantage of our deck construction, deck remodel, and exterior improvement services to make your new dream deck a reality, or add some custom charm to your home's appearance. Our wide selection of wood, composite, and aluminum decking materials gives you the customization options you need to make your new deck an attractive, functional, and enjoyable extension of your home's living space. 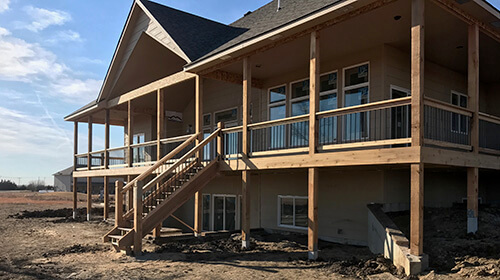 Browse our project gallery of completed projects to see our services in action, which includes custom wood and composite decks, screened decks, window shutters, columns, fencing and more. 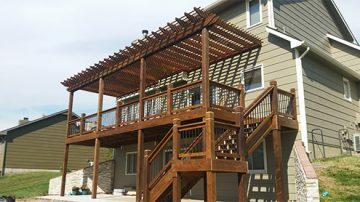 Proudly rooted in Wichita, KS, RMC has been creating beautiful decks and improving homes since 2008. Learn more about the company, and the man behind the saw, Ryan McClellan. Who we are is certainly reflected in our work, and we proudly stand behind every project we complete. Perfectionists by choice, flush lines and smooth cuts are our calling card. We don’t believe in cutting corners, especially when it comes to working on something as important as your home. By using the best materials, the right tools, and time-tested techniques, every deck we construct is built to last in impressive fashion. 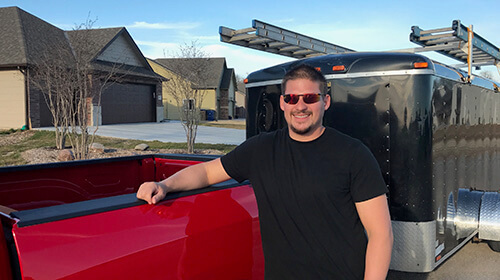 With nearly a decade of experience improving homes in the Wichita area, RMC lets you rest assured that the right team is on the job, and that your hard-earned dollars are being spent as efficiently as possible. We’re firm believers that most of our success over the years can be attributed to the honesty and integrity that forms the foundation of our company. Our dedication to customer satisfaction is unwavering, and our goal is to not only deliver an outstanding product to our customers, but to also build relationships with them that are as durable as our decks. Measure Twice.Cut Once.Deliver Every Time. Very professional, beautiful wood work, I highly recommend!!!!! Fair price and hard work is very appreciated and a lost art!